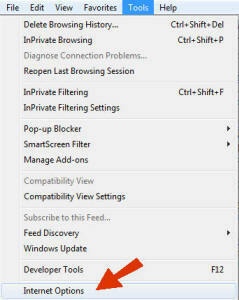 ActiveX control is required to view the camera when using Internet Explorer. If your security settings are set too high, ActiveX controls will not be installed and you will not be able to view the camera. It is recommended to set your security setting to Medium-High. First - open Internet Explorer. 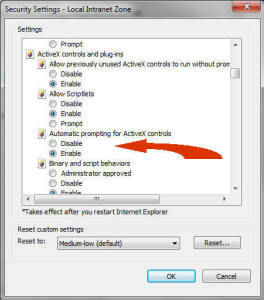 Additionally - choose custom level and allow automatic prompting for ActiveX controls.